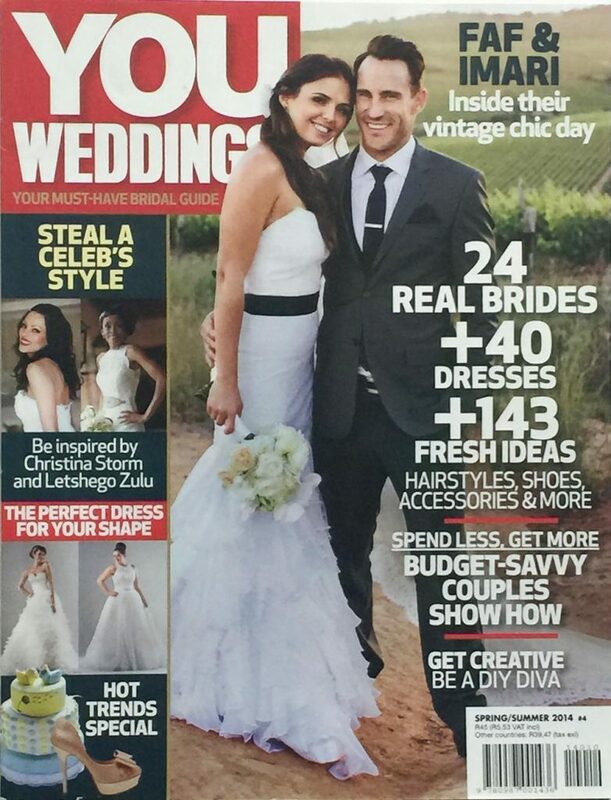 What a pleasure to see 2014 Bride of the Year Anthea and her newly wed husband Adriaan on the pages of YOU Magazine! This couple is so special and we are not surprised that the judges of this year’s contest gave the crown to Anthea. Beautiful and kind, she absolutely owns the camera and the stage. Anthea and Adriaan are a true delight to be around. The couple planned their wedding themselves, adding all the details one at the time. Anthea didn’t compromise her love for pink and the leading colour was a vibrant shade of fuchsia. The gown came from Ilse Roux bridal studio and it looked just perfect on this delicate girl. Thanks to Ilse’s kindness, Anthea got to wear her gown one more time during Bride of the Year finals. The makeup for the wedding was masterfully performed by Corle Barnard and it emphasised Anthea’s delicate features. The hair was the biggest challenge, this bride’s hair goes way below her waist line. Corle created an elegant and sophisticated up-do with endless braids and knots. 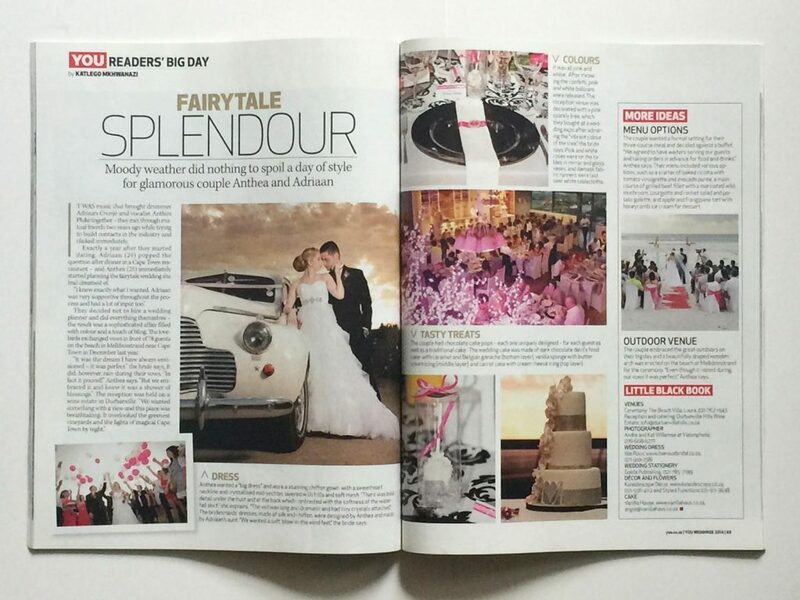 We are delighted to see this wedding featured in YOU Magazine. Anthea and Adriaan proved that amazing weddings are possible even on the budget. With enough planning and some smart savings, Anthea and Adriaan hosted a fabulous celebration for their loved ones and incorporated all their favourite details. Afterwards, the bride won the hearts of the judges and she became Bride of the Year! Congratulations on the title, dear Anthea, we are convinced you will enjoy every moment of your Mauritius holiday, which is one of the prizes in the contest. We will keep this issue of YOU, so we can always go back to the beautiful moments we have shared with you. Well deserved!